How do you define if office space is productive? 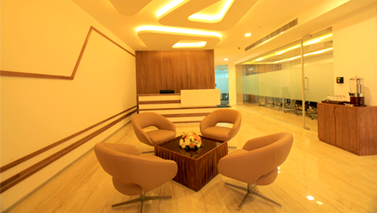 Productive office spaces are created and nurtured by many multiple things. 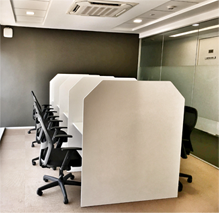 In today’s working world, it is essential to customize your work/office space to the requirements and expectations of current as well as prospective employees and not to forget, the clients you serve. In this blog, we have compiled some characteristics of offices that we think can help keep employees stay motivated.So let’s get cracking! Getting everyone under the same roof at the right time will make for higher productivity in your workplace. Nowadays, founders, partners, executives, and entrepreneurs don’t care as much about varying office sizes as they once did. Gone are the days of where offices of the corporate boss and senior officers outshined and outsized the postage-stamp-size cubicles of juniors. The right office space can easily reflect a company’s core values, foster work-life balance, and surprisingly also helps in retaining and recruiting employees. Companies have begun to focus more on health and mental wellness at the workplace. Healthier food alternatives and wellness facilities will help entice employees to come into the office and work the hours required. Excellent connectivity outside the four walls of your office space is also a must to help your employees stay true to your company. 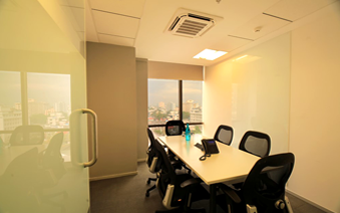 The location of your office will make your office space even more fruitful. It is important to understand the commuting habits of your present and prospective employees. It is essential to have office space that is convenient for your employees—and not just the company’s top executives. When your employees are in the office, always remember your office space needs to be designed to support the different working styles: It should be a place to focus, a place to network, a place to meet and even a place for employees to refresh. Besides, sustaining connectivity and most modern technology will be crucial and help us communicate better.